You wanna see excited?! 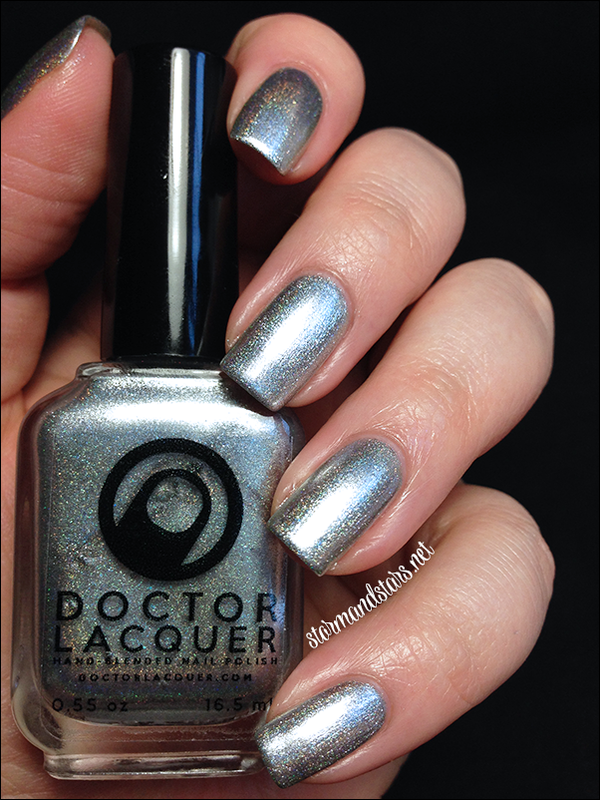 I AM SO EXCITED FOR THIS DOCTOR LACQUER COLLECTION!!! Haha! When Angelyn started sending me sneak peeks of the Kaleidoscope World collection I was already hooked. Neon? Check! Jelly? Check! Holo? Check! 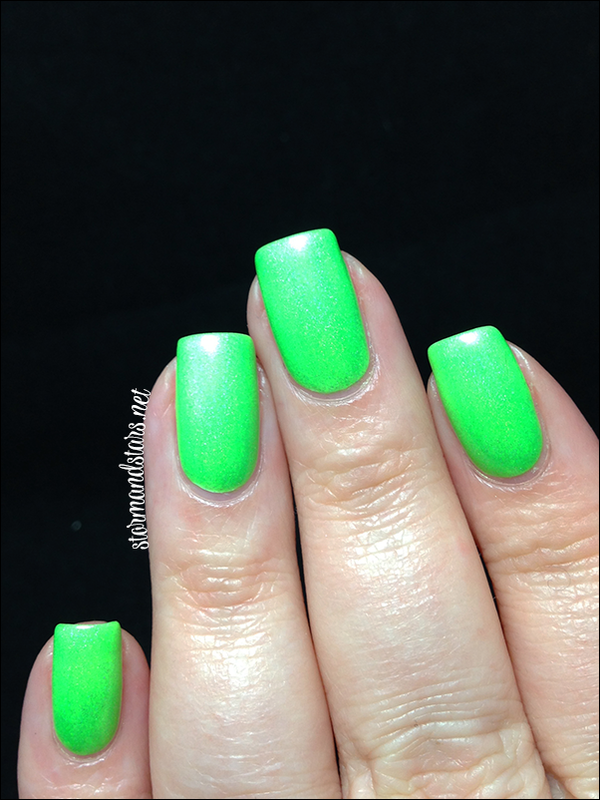 What more could a neon/jelly/holo obsessed nail girl ask for? These lacquers really don't need a lot of words, the photos do most of the work for me, but be forewarned there are a lot of photos. I've put most of them behind a link so click the "Read More" at your own risk! Most of these had the same formula. They were on the thinner side, but suuuuuper easy to work with. I personally loved the formula. 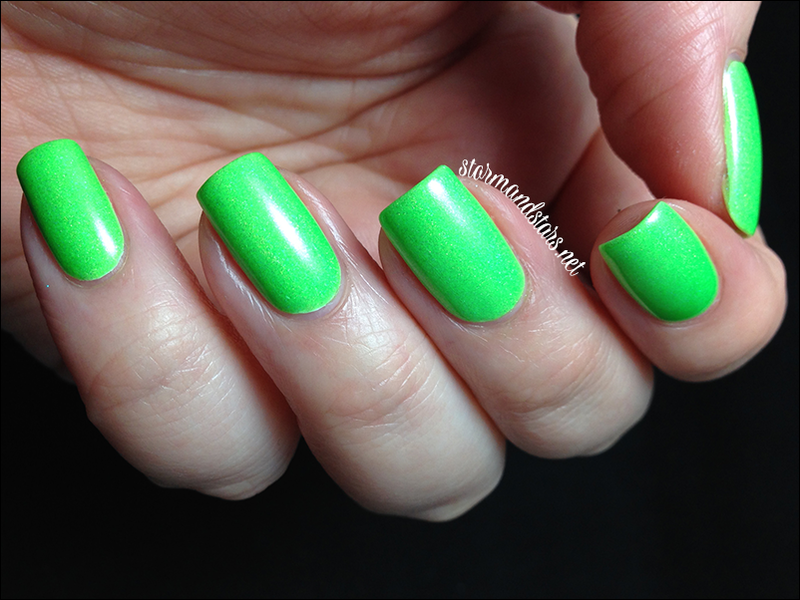 Like most neons these dry to a satiny finish, so topcoat is a must to really make them shine the way they should. The dry time is crazy fast on all the neons in this collection. 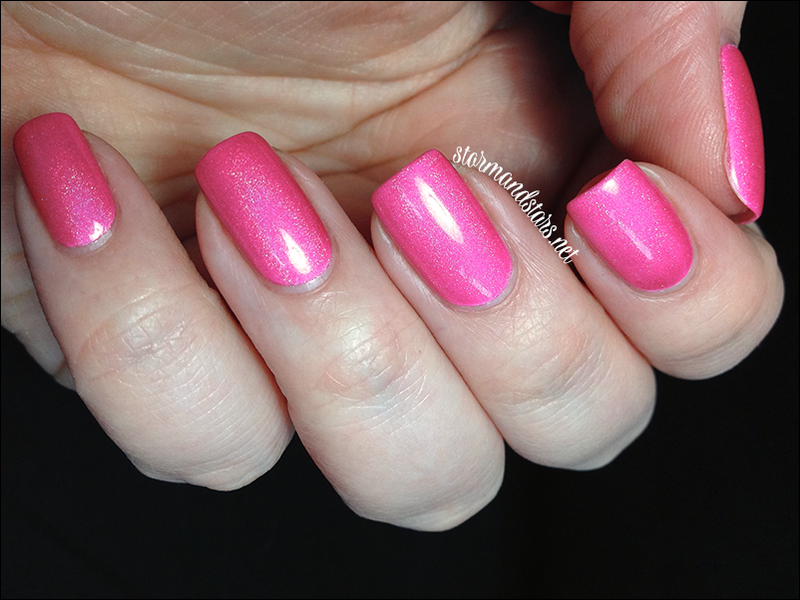 For all the swatches below I used one coat of Seche Vite topcoat to finish off the mani. 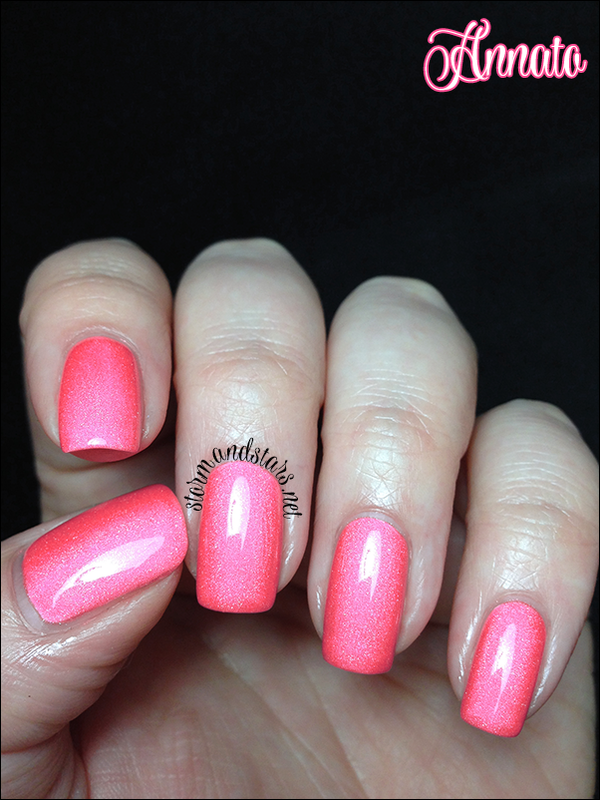 First up is one of my favorites from this collection, a bright bubblegum pink neon, Annato. 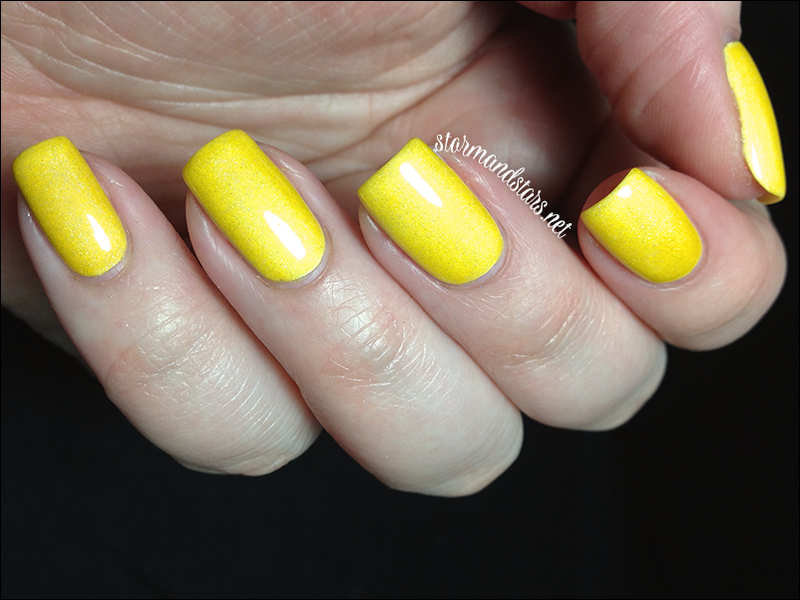 I used 3 coats of Annatto over white for these swatches. I can't say enough, I love Annatto. Next up is the first and the darker of the greens. Here is Chlorophyll. I used three coats of Chlorophyll over white for these images. This baby freaked my camera out pretty well. It looks fabulous anyway. So much love. 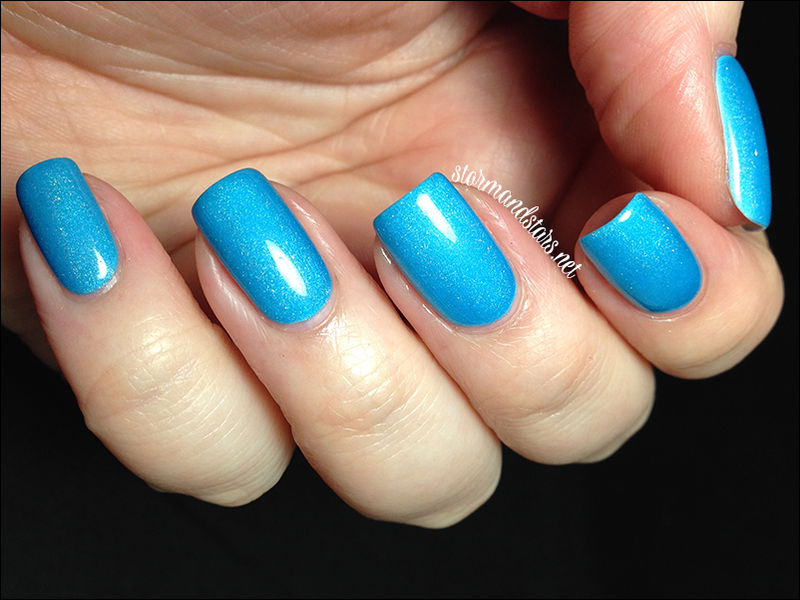 This next glowy neon blue is Phycacyanin. How deep and beautiful is this blue? It reminds me of the ocean on an island. I layered three coats of Phycacyanin over white for these photos. I really can't say enough about all these colors. They are perfection. 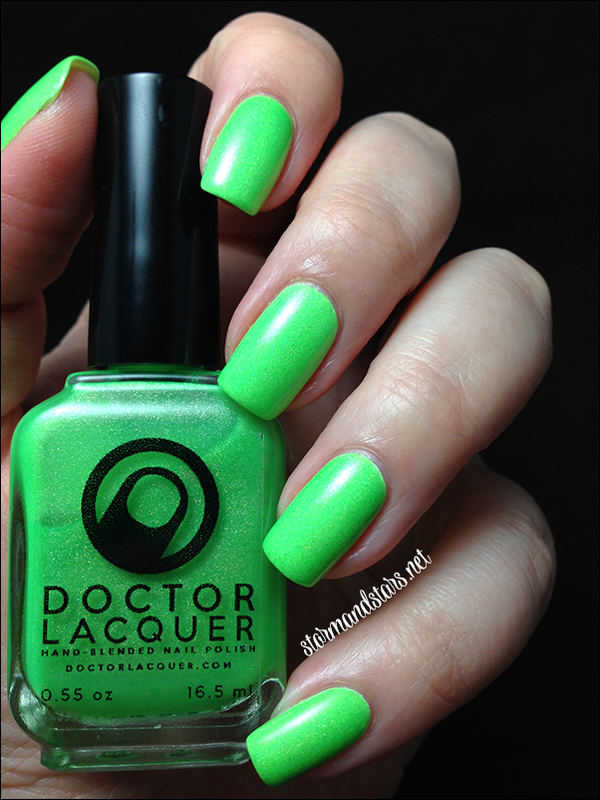 This next lacquer is one of the two that are not neon holos. This one is a very special chrome holo called Reflection. BAM! Wowza! There is no way to do this justice in photos. It is metallic and shiny and mirror like and also super super holo in the sunshine. These photos are under my desk lamp. I can't even begin to tell you about it under the sun. 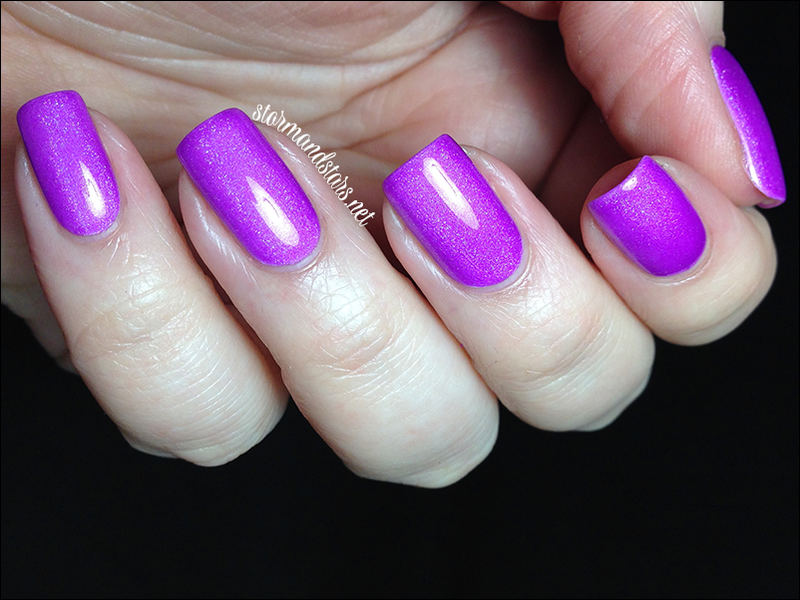 I used three coats of Reflection on its own without topcoat for these photos. I found the formula to be great for a metallic, but definitely use a light hand to avoid any dragging. The second of the pinks is a darker color, Hemoglobin. Hemoglobin is so pretty. 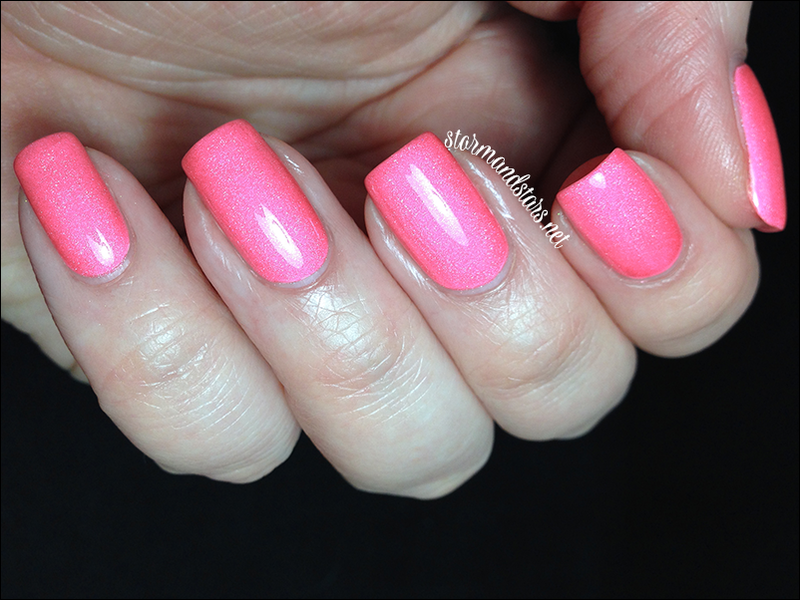 It is the perfect Barbie doll pink. I used three coats of Hemoglobin over white, though after I did I realized I probably could have done two for a brighter effect. The brightness to follow is the yellow of the group, Carotene. Carotene is a little more subdued than its brothers and sisters. 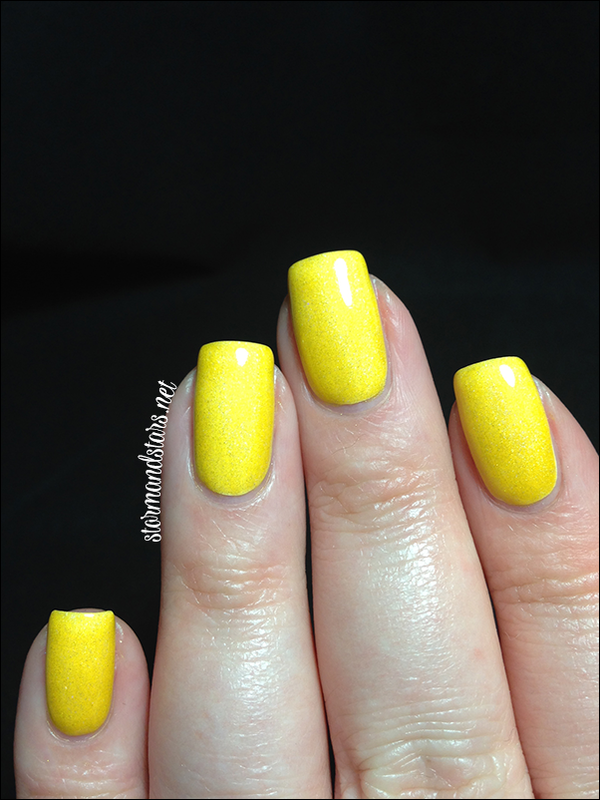 not quite a highlighter yellow, but definitely bright! 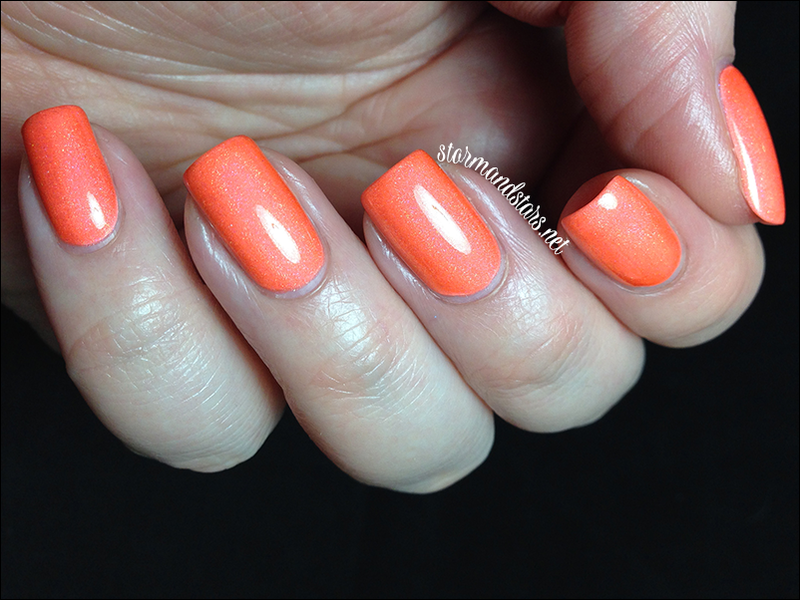 I used three coats of Carotene over white for this manicure. 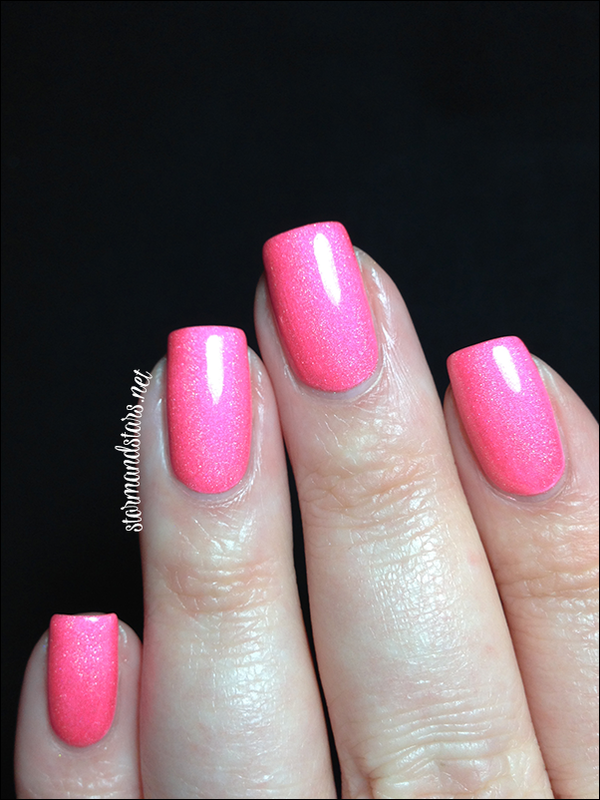 The second of the two non neon holos is a neon glitter topper, Refraction. Refraction is so much fun! 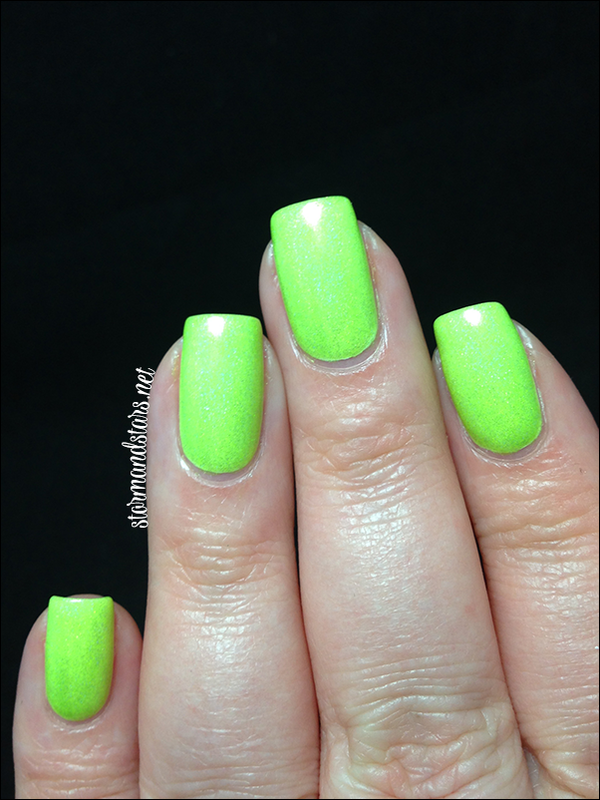 This glitter bomb is a mix of neon micro glitters and small hexes in all sorts of neon colors. The fact that the neons show over something other than white makes me love it even more. 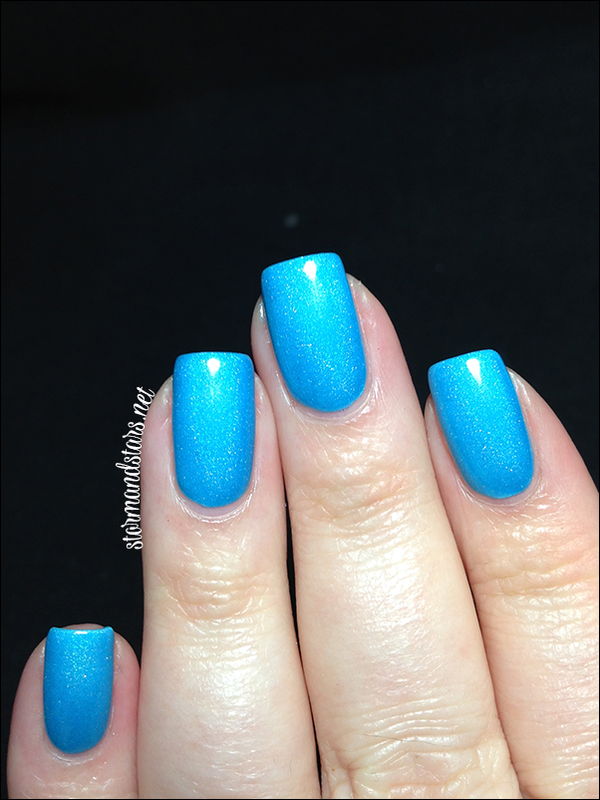 The ring finger is one coat of Refraction over white and the others are a glitter gradient done with the brush and some placement over Enchanted Polish Once Upon A Cloud. I added topcoat to the entire thing to make it shine. The second green from this collection is up next. Meet Lutien. 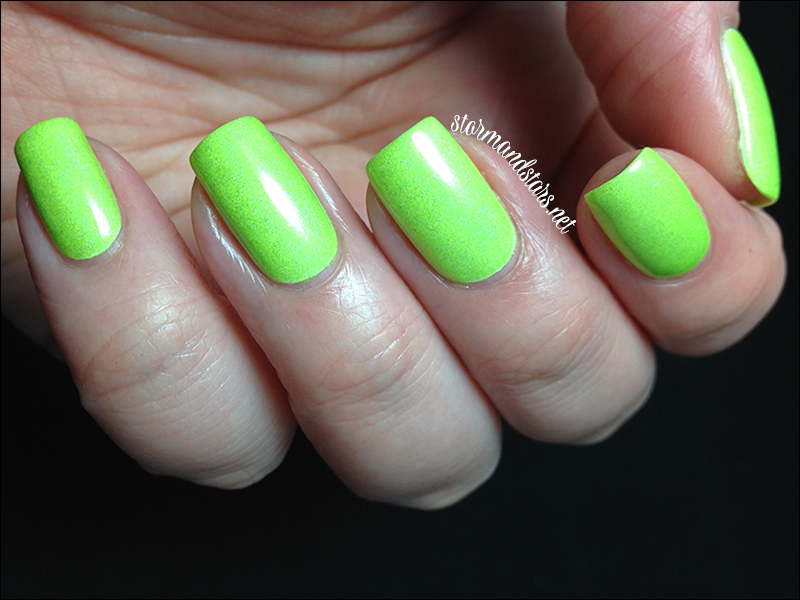 This reminds me of radioactive material in cartoons. 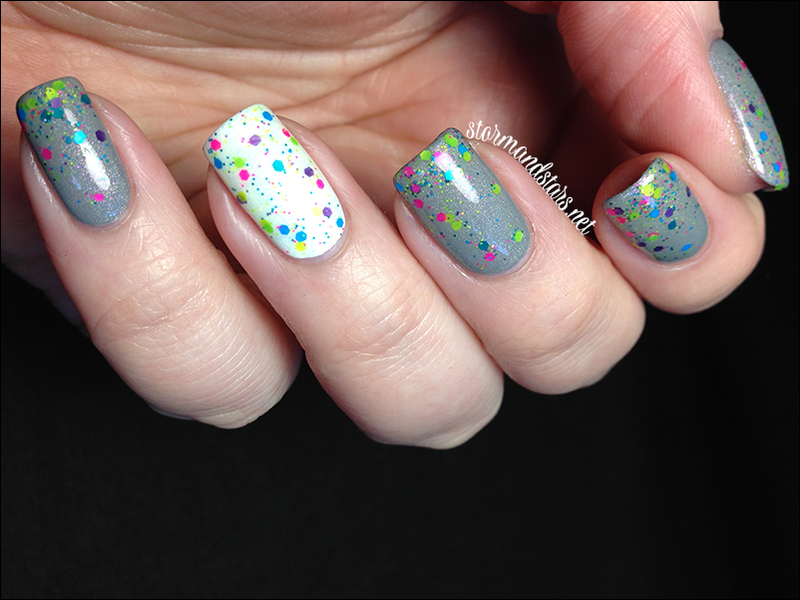 I layered two coats of Lutien over white for this look. We're almost to the end, are you sad? Here is the beautiful Lycopene. I used three coats of Lycopene over white for this swatch. I've saved my absolute favorite for last. Betalain is absolutely stunning. I swatched this one first, let me tell you, what a mistake. I wanted to call it a day and just wear it forever. I'll be visiting this lacquer again soon for sure. I used two coats of Betalain over white for these photos. Just... look at it! 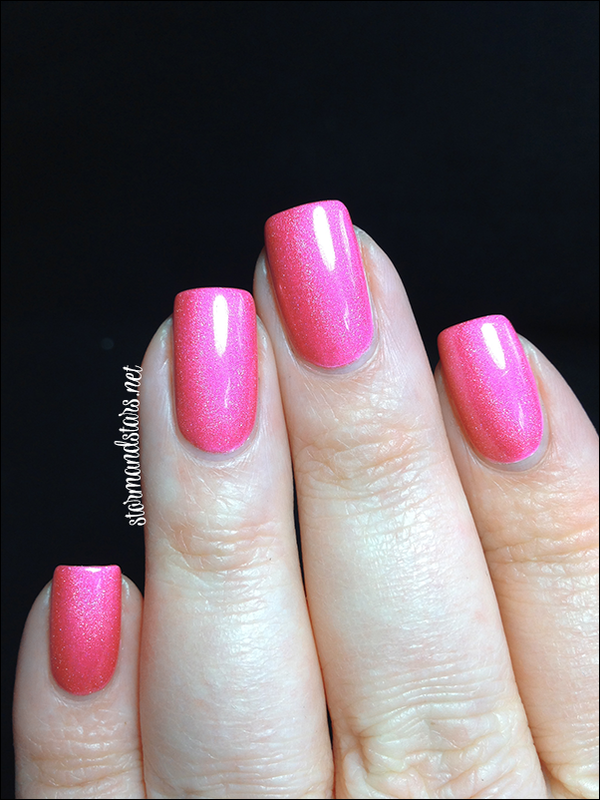 ♥ ♥ ♥ How can you possibly not love this lacquer?! So we are at the end. I should probably tell you which are my must haves but I am having such a hard time. Ok ok, here we go. If i absolutely have to choose my picks are Betalain, Lycopene, Phycacyanin, Annatto and Refraction in that order. But really? If you don't have to choose, get them all. Pre-order for the Kaleidoscope World collection runs from now until June 7th at 11:45PM EST. The preorder will ship on or about June 14, 2014. The lacquers are available individually, as a 10 piece set either holo or jelly and as a full collection including both the holos and the jellies. Special preorder pricing is available. 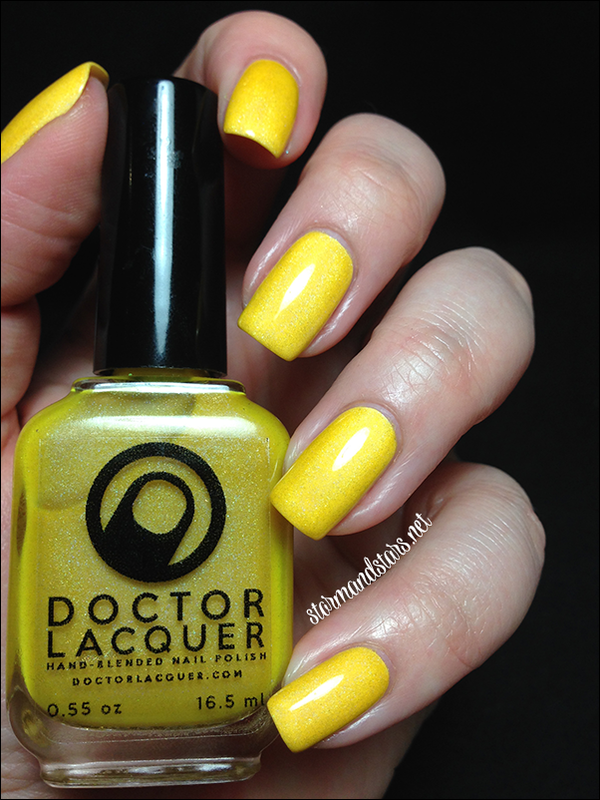 Once again, Angelyn at Doctor Lacquer has blown me away with these lacquers. You can find these and other Doctor Lacquer polishes in their shop either on Storenvy or Etsy. 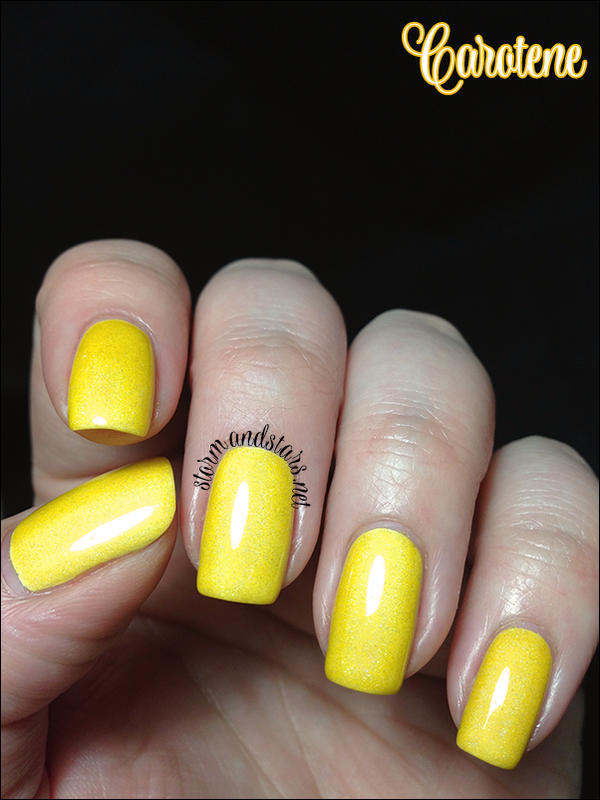 Don't forget to follow Angelyn on social media so you can keep up to date with collections, releases, sales and restocks as well as see other swatches of her lacquers! 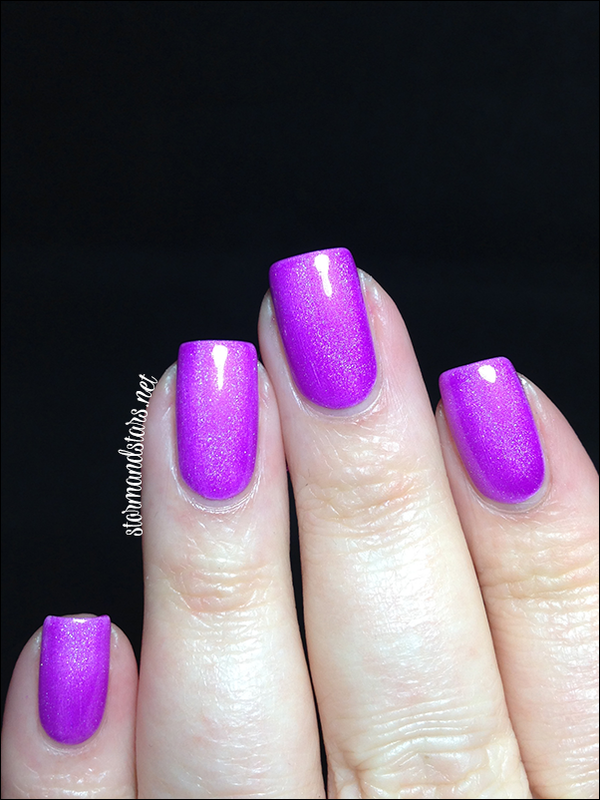 Storm, I just love how enthusiastic you are about these polishes! 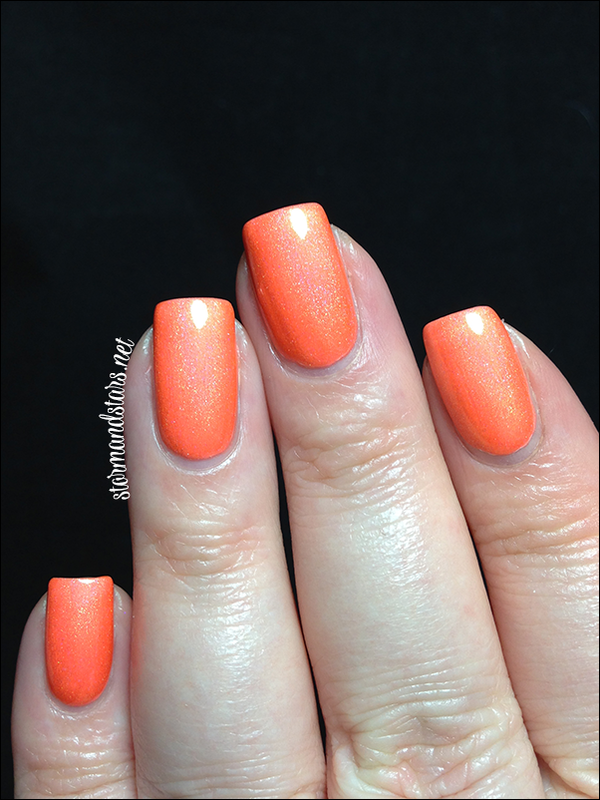 Your passion for color and nail polish really shines through in this post. These are beautiful and unique shades and names. The coral orange and pink are my favorites... they look awesome! 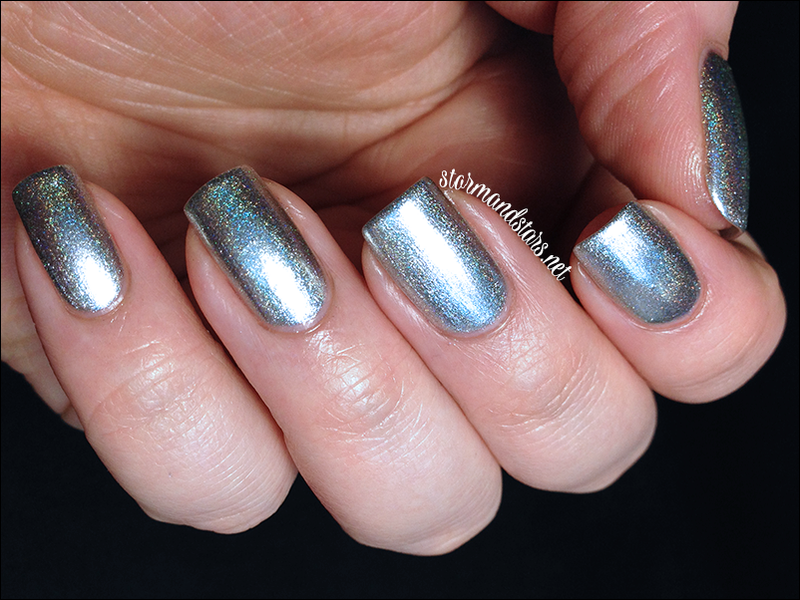 I checked out the non-holo version and definitely prefer holo! Great post!